A year after Ohio State’s $483 million deal with a private investment company transferred control of parking assets to outside hands, no other large public entity has followed suit. While others, such as Indiana University and the city of Cincinnati, have considered taking the plunge, OSU and Chicago stand alone in having signed the lease. For Chicago, leasing parking assets has largely been considered a disaster. One year into the 50-year agreement at OSU, meanwhile, it’s too soon for many to tell how the situation will play out. CampusParc was created to manage OSU’s parking services, which were leased to Australian investment firm QIC Global Infrastructure for 50 years. The agreement outlines who is responsible for improvements and who regulates the number of parking spaces on campus. The contract also lists some of OSU’s parking policies – and who is exempt from following those rules. It’s unlikely parking is a main focus for those who frequent OSU daily, but in this agreement that shapes how the university operates, everyone is a stakeholder. CampusParc has no control over the number of parking spaces available on campus, what kind of spaces are available for each permit grade or parking policies – that’s university policy. CampusParc simply handles infrastructure, according to interviews with OSU and CampusParc representatives. Interim president Joseph Alutto said in a Sept. 23 interview with The Lantern construction on parking facilities has led some to blame CampusParc for inconveniences administered by OSU. The distinction between the two entities, though, has led to some frustration from students and faculty about the role of CampusParc. 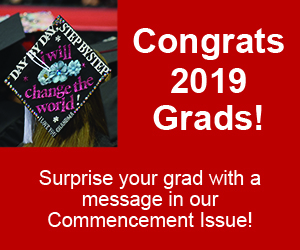 “The biggest dilemma we face now I think is getting people to understand the services we provide and the policies we have to administer are two separate things,” said Sarah Blouch, president of CampusParc. Blouch led OSU’s Parking & Transportation, until that ceased to exist, prior to CampusParc taking over. Blouch called the transition “seamless,” but said she had her doubts about the concession when it was first discussed more than two years ago. As the first public university to make a parking concession agreement, there weren’t any schools to serve as a good example for how to move forward. “When the whole thing came up, the first thing you do is Google ‘privatization of parking’ and what pops up? Chicago. And we were like, ‘Oh my god, what’s happening here?’” Blouch said. In 2008, the city of Chicago privatized its parking assets in a 75-year, more than $1 billion deal with Chicago Parking Meters, LLC, a controversial move that has made Chicago the most expensive place for metered parking in the country in 2013. 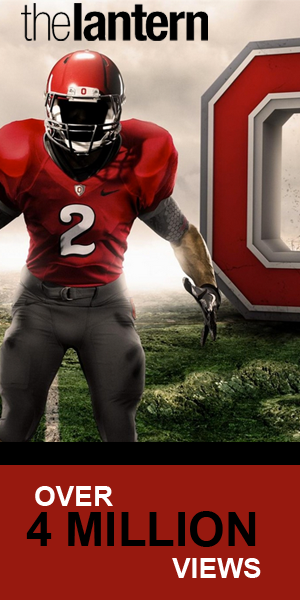 The difference between Chicago and OSU, Blouch said, is the investor. With a 50-year agreement, CampusParc is in it for the long haul and has to work to improve and maintain parking assets. “They want to make sure we take care of the investments, have counterparty relationships with the university that are good, making sure the assets are safe and that we really watch risk are the big key things beyond customer satisfaction that we focus on,” Blouch said. 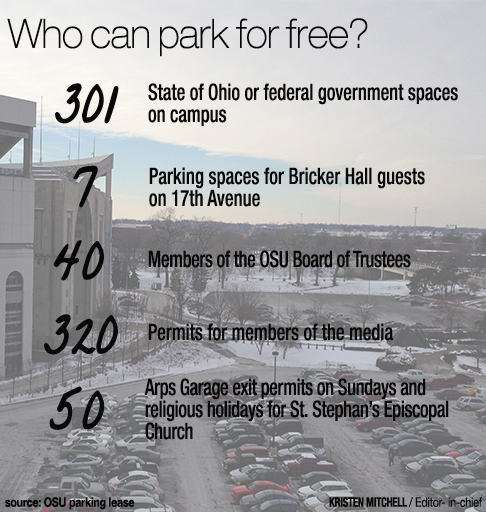 These parking assets include 16 garages, 196 parking lots and OSU’s roughly 37,000 parking spaces. 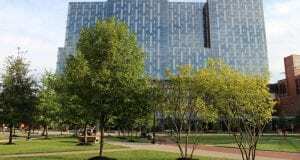 OSU estimates that when the 50 years are up, the initial $483 million will result in $3.1 billion in investment earnings, according to information released by the university, and has already earned more than $50 million in the endowment. 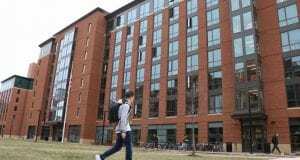 The university release also stated “the university is in the final stages of engaging a consultant team to develop a comprehensive transportation and parking plan for campus” that would have a specific goal of improving the “experience” on South Campus and near the Wexner Medical Center. In its first year of operation, CampusParc has invested about $2.5 million in OSU’s parking infrastructure. Combining technology and infrastructure, CampusParc has spent a total of about $10 million in its first year. In the first five years of the agreement, CampusParc is operating with a budget of $25 million, Blouch said. 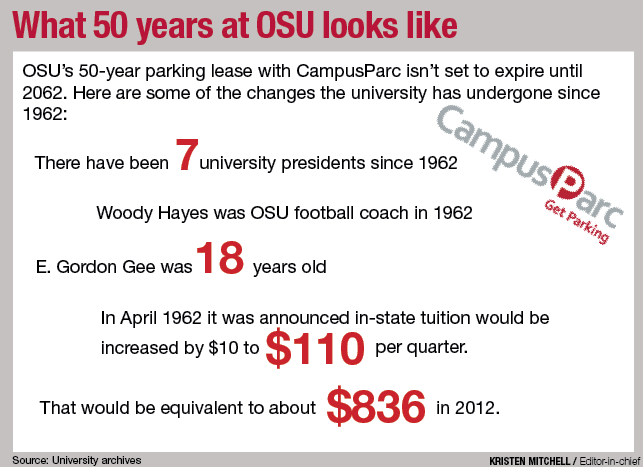 In return for the 50-year lease on its parking assets, OSU received an upfront payment of $483 million. This money was put into OSU’s endowment fund to be used for student scholarships, increased staff grants, adding tenure-track faculty and to support the Campus Area Bus Service. Member of the Faculty Council and OSU accounting professor Richard Dietrich said the investment was a smart business move. “The university can plan forward on its mission. 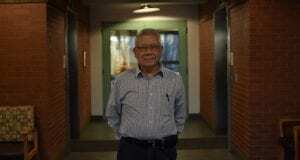 We’ve given up stuff we’re not particularly good at to focus on things we are good at,” he said. Some members of OSU’s faculty were opposed to the deal in the past. According to an April 2012 survey of tenure-track faculty, 83.6 percent of of 1,252 faculty surveyed said they did not support the proposed deal. The Faculty Council raised questions about the decision to move forward with the parking agreement in 2011, and Dietrich got involved to assist with understanding the financial side. “There is some risk that the university faces … in any financial situation there is risk,” he said. “Our core strength as a university is not running parking facilities. So we should focus on what we’re really good at and hire others to do what they’re really good at. If public transportation in Columbus improved and became more widely used in the next 50 years, CampusParc would face the financial consequences of that change, Dietrich said. The concession agreement signed between QIC and OSU details the authority OSU resigned to CampusParc and what was retained. According to the contract, CampusParc is responsible for any costs associate with electronic upgrades, and is responsible for the cost of removing any old equipment or attachments from the parking assets. If damage is done to the assets, CampusParc is responsible for repair. Meanwhile, the university is permitted to permanently remove up to 2,200 parking spaces from campus without compensation to CampusParc. QIC also agreed to maintain a set amount of parking spaces reserved for individuals who receive “University VIP Parking” that are exempt from “certain parking rules and regulations.” According to the agreement, the university will determine who these individuals are and it shall not exceed 45 people. The Lantern was provided with this list Dec. 12 to fulfill a Nov. 21 public records request. The 42-name list as of Nov. 25 included members of the Board of Trustees, Vice President of Student Life Javaune Adams-Gaston, President Emeritus E. Gordon Gee, Interim President Joseph Alutto, Senior Vice President for Alumni Relations Archie Griffin, athletic director Gene Smith and Medical Center board chairman and CEO of the Limited Brands Les Wexner. Board members are provided the permit free of charge, while members of the “Senior Management Council” pay for theirs personally. With university policies still in place, OSU has given up its operation of the parking facilities and its revenue stream, but not its control. CampusParc can’t stray from the agreement without university permission, right down to the type of light bulbs used – a special request was placed to use LED lighting in the North Cannon Garage. Dietrich said when looking at the future of the university, the parking concession has little to do with parking. “When we know we can go out and … hire new faculty members … those are things that will make a difference for Ohio State and our students. I think that’s what the whole parking thing is about. It’s not about where we park our cars, even though that’s what it looks like,” he said. While CampusParc is responsible for maintaining and upgrading university assets, it will get the cash flow that comes from them in return, including the profits from the sale of parking passes and hourly parking fees, Blouch said. Before the agreement went into effect, there were concerns about CampusParc’s right to increase the cost of parking passes every year. The 50-year agreement caps this rate increase on parking at 5.5 percent annually for the first 10 years. After 10 years, rates are set to be capped at 4 percent or a rolling five-year average of inflation, whichever is greater. For the 2013-14 parking year, which follows similarly to the academic year, CampusParc has sold 40,375 permits so far. CampusParc also hands down parking citations, which totaled more than $673,000 between April and September. According to information given by Mark Evans, chair of the Parking Advisory Committee who spoke to the University Senate Dec. 5, the number of citations given out by CampusParc is at least equal to and possibly less than what was given out when parking was overseen by OSU’s Transportation and Parking, which has changed names to Transportation & Traffic Management. The net revenue from parking citations are passed on to the university after expenses are deducted, Blouch said in an email. Earnings from vending machines in parking areas, however, explicitly belong to the university, according to the contract. OSU is the first public university to make a parking concession, and Blouch said other schools are taking notice. While no other universities have made the decision to lease parking assets, Indiana University came close after discovering it could reasonably expect to receive $275 million for a contract including its combined parking operations in Bloomington and Indianapolis. On Oct. 17, the university published a press release acknowledging the IU Board of Trustees, after recommendations from the university president, decided to no longer pursue proposals. “We conducted a thorough and inclusive analysis of both the financial and nonfinancial aspects of a long-term parking agreement and, in the end, concluded that the valuation of our parking assets simply wasn’t compelling enough to justify losing control of our operations for 50 years,” said IU Vice President and Chief Financial Officer MaryFrances McCourt in a released statement. 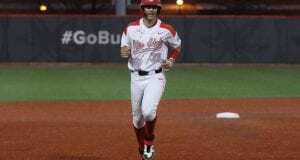 Dietrich said if OSU had been offered the deal Indiana was offered, OSU wouldn’t have taken it either. “Indiana University had considered this issue and decided not to lease their parking facilities … their facilities look roughly comparable to ours. My understanding is the bid they got was only about half of ours … we would have rejected that one, too,” he said. Business law expert and associate professor at OSU’s Moritz College of Law Paul Rose said the OSU model isn’t applicable to all other universities. The city of Cincinnati considered privatizing its parking earlier this year, a proposal that has divided politicians and residents. Mayor-elect John Cranley and several elected City Council members recently sent a letter asking the Port Authority to stop the deal, which was approved by the City Council in March. Colorado State University is also exploring a parking lease as an option, and is in preliminary discussions about the possibility. The decision to sell or lease parking assets is typically a lengthy decision and some said it is one that cannot be taken lightly. 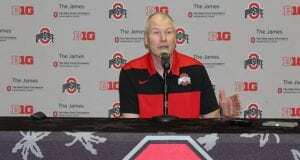 OSU’s 50-year contract is not set to expire until 2062. 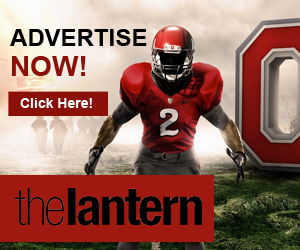 This story is the fifth in a five-part series about Ohio State’s contracts with Nike, Huntington, Coca-Cola and QIC Global Infrastructure. The series was made possible by the generosity of Ohio State and The Lantern alumna Patty Miller. Campus parc is a joke. Overselling $900 a year “a” passes knowing that there is not enough places to park. Impossible to find parking after 9am. It’s only going to get worse. Enjoy!! there are plenty of places to park. read the article. there are 37,000 spaces. just because you can’t park right next to your office doesn’t mean there’s not enough spaces. 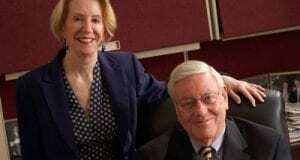 Huntington Bank deal leads feds to seek transparancy. Kvamme Drive Capital deal clouded in transparancy issues. Now the Parking Deal — no other University takers and the only other entity in Chicago facing scrutiny. Scratch your heads folks….. I love the timeline feature! Thanks, Lantern! Does this make us the smartest or the dumbest among our peers? Awful idea! Selling …oops, leasing public assets is never a good deal for the public. The students, faculty, and employees will be subject to fees which are based on a profit motive, rather than public good. They just increased rate by 5%. Soon annual cost for an A-pass will be over $1000. Yet parking continues to be a nightmare, their tracking systems in the garages are not functioning (it would say 97% full when in fact its 100% full so you spend 10minutes cruising through all 11 floors. No session titled Benefits for Students? HS.